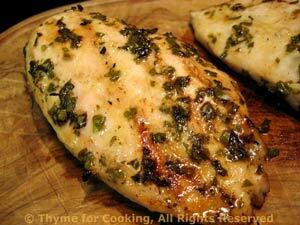 Thyme for Cooking Dinner tonight: Grilled Chicken with Lemon and Herbs. At this time of year we have an abundance of herbs in the garden so we use with abandon. Feel free to use less if you have to buy them, or substitute some dried. 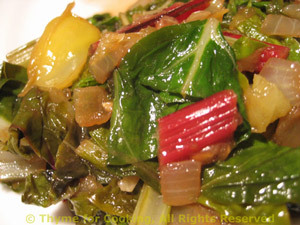 And, isn't the Rainbow Chard pretty? Add onion, pepper, and sauté about 3 minutes, or until softened. Add rice and sauté, stirring for 1 minute longer. 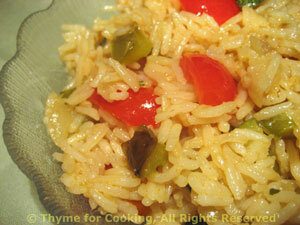 When rice is done, fluff with a fork, stir in tomato and serve.